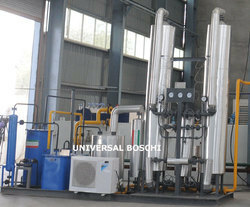 Universal Boschi in collaboration with manufactures & suppliers premium quality oxygen plant of all sizes ranging from 20m3/hour to 1,000m3/hour ING.L.A. Boschi Italy Since 1930. Our oxygen plant is being manufactured as per the latest technology & design of the Company ING. L. & A., Boschi, Italy since 1930. This technology has been proven all over the world for its working efficiency & trouble free operation. We have manufactured over 300 plants since last 30 years since 1985 at New Delhi and supplied to over 40 countries worldwide. We are manufacturers and suppliers of Oxygen Plant in India. 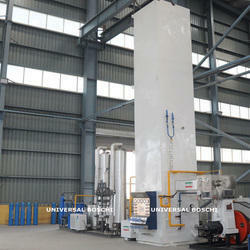 Our oxygen plant are being manufactured as per the latest technology design of the Company ING. L. A., BOSCHI, ITALY. This technology has been proven all over the world for its working efficiency trouble free operation. Simultaneous Production of oxygen nitrogen gas and liquid. Filling of oxygen/nitrogen by liquid oxygen pump. Very Suitable for high purity bone gas medical. UB series oxygen plants are use for filling high pressure Oxygen/nitrogen gas in cylinders/bottles by liquid oxygen pump ( oil free water free) for industrial medical applications. 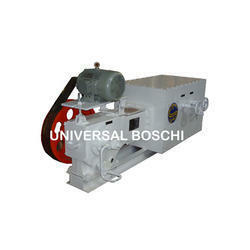 Process skid compact boschi design. All equipments are mounted on processed skid complete with gas/air/water lines for high purification of air. Air Separation Column (Cold Box) (100% leak Proof stainless steel), air separation column-cold box consists of outer steel casing, main heat exchanger, liquifier, bottom column, top column, condensor, sub-cooler, liquid oxygen nitrogen filter. Cooling pipe line, insulation material, digital electronic temperature indicator scanner, pt 100 sensor, dp gauge monometer, expansion valve with long stem type with pointer index wheel. Air Compressor are supplied as per buyer choice. 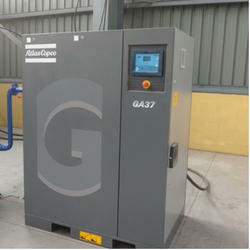 We have a wide range of air compressors. Liquid Oxygen passes from the condenser to the liquid oxygen pump for filling gas into cylinders. The cylinder filling is done through the integrated liquid oxygen pump (Connected to cold box) which is designed to fill oxygen gas into cylinders at high pressure of 155-200 bar. 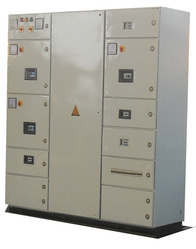 Cryogenic Expander for Oxygen Plant, hydraulically operated with variable cam for automatic control of pressure and temperature, this is also equipped with ball type valve at inlet and outlet which is proof for trouble free operation for years together complete with electric motor starter. The Expander-booster is provided in the process cycle to increase the adiabatic cooling efficiency by boosting/recycling the thermodynamics of the cryogenic expander. The Oxygen Cylinder Manifold system provided with the oxygen cylinder filling plant is made to sustain high pressure at 155- 200 bar continuously. We are leading supplier & distributors of Oxygen Cylinder Manifold.